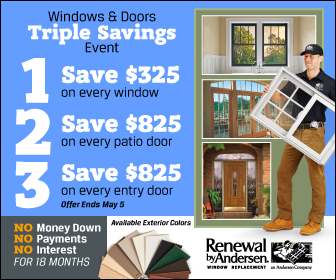 Renewal by Andersen is the exclusive start-to-finish window and door replacement division of Andersen Corporation – the most recognized window br and in the U.S. Join us on our quest to drive change and innovation inspired by customer needs. We are seeking a highly qualified Technical Measurer/Service Representative to add to our staff and support continued growth on our St. Louis Team. Measures window & door openings and reports accurate findings used in the manufacture and installation of custom windows and doors by Renewal by Andersen. Provide superior customer service and repair on Renewal by Andersen products. Analyzes customers situations, determine corrective action to be taken and verify that the action taken has fixed the situation. Interface with customer in a respectful manner, giving the customer the information and explanations that are helpful in underst anding the situation and corrective action. Demonstrated ability to confidently h andle confrontation/conflicts using a tactful and diplomatic approach; Ability to maintain perspective under dem anding conditions. Proven organization skills; prioritize and organize tasks, efficiently and effectively. Detail oriented. Organizational skills for managing work schedules, job priorities and stock levels. Our homeowners value integrity and quality. If you share these values and your goal is to use your talents to ensure customer satisfaction, we want to hear from you! Please forward your resume to felesia@rbastl.com.